Soares, Paulo V. / Grippo, John O. 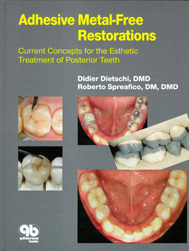 This clinical atlas details anterior ceramic restoration to correct esthetic problems. 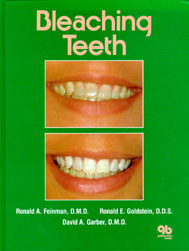 Dentistry has undergone a major transformation over recent years and decades. New technologies have been developed and a better understanding of biological principles and processes has been gained. 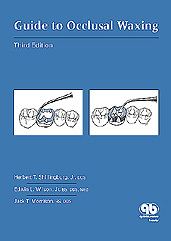 This book captures the prevalence and multifactorial reasons for erosive tooth substance loss, including the diagnosis, severity index and incidence, progession, and risk factors. Prevention of erosions and therapy adjusted to risk and age, including deciduous teeth, are also covered. 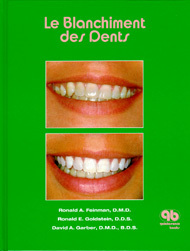 This book is illustrated with excellent clinical pictures and step-by-step instructions for the daily practice. Treatment protocols involving placement of dental implants require a dental team with expertise in surgery, restoration, and laboratory procedures. However, the responsibility for coordinating the treatment plan falls to the restorative clinician who must develop the blueprint for restoration. The use of resin composite in posterior restorations is an accepted practice, offering a predictable and minimally invasive treatment. Resin composite can be regarded as the "material of choice" for restoring many posterior teeth that have been damaged by caries or trauma. This textbook reviews the most current concepts, presents techniques for successful results, and demonstrates how to avoid common pitfalls. The creation of truly natural tooth restorations may be considered an 'art form' by dental technicians although, it should not be forgotten, that biological considerations are also important otherwise the aesthetic restorations will fail. However, when patients receive their 'new teeth', aesthetics will be the primary concern, especially with anterior restorations. This book presents research and cllinical studies demonstrating the safety and efficacy of using ozone to treat and manage caries lesions. While adhesive techniques have already penetrated almost all fields of dentistry, a gap remains between accepted treatment modes and what is carried out in daily practice. 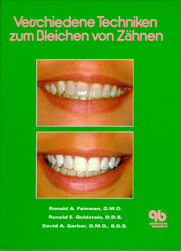 This book, a compilation of the proceedings from the 3rd European Symposium on Adhesive Dentistry, provides the information, arguments, and data that clinicians need to incorporate adhesive dentistry into their daily practice. This book greatly expands the body of knowledge in the field of odontogenic tumor pathology. It describes the epidemiologic, radiologic, and histopathologic features of presently known neoplasms and hamartomatous or tumor-like lesions arising from the tooth-forming structures, as well as a number of distinctive jaw lesions that must be distinguished from odontogenic tumors. 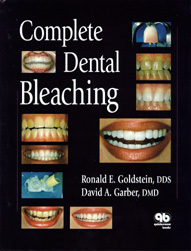 The detailed guides to alternative porcelain materials and their step-by-step applications make this book invaluable for general practitioners, dental technicians, and the entire esthetic team. As our ageing population retain more teeth into old age, the burden of dental maintenance increases. This text presents an overview of these challenges facing the dentist and how edentulousness in old age can be prevented with long-term treatment planning. Treatment strategies designed to minimise risk to the remaining natural dentition are also described. Albrektsson, Tomas/ Bratthall, Douglas/ Lindhe, Jan T.
Summitt, James B. / Robbins, J. William / Schwartz, Richard S.
Caleffi, Alessandro /Berardi, Danilo /Noack, Michael J.
Klinische Erfahrungen und neue Methoden. Von der klassischen Keramik bis zu Preßverfahren. 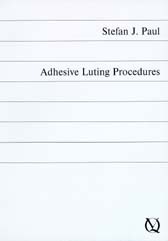 A sturdy manual styled for convenient reference during occlusal waxing. Six views of each tooth depict occlusal morphology, centric contacts, inclined planes, excursive pathways of opposing cusps, and proximal contacts from buccal and occlusal views. This book describes the modern materials and techniques aimed to restore esthetically posterior teeth, without metal. 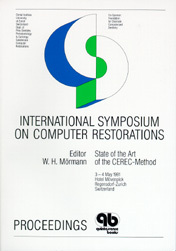 Current restorative techniques are logically integrated in a global concept, which provide a catalogue of indications associated to well specified clinical situations. The thorough clinical and scientific documentation makes this text a valuable source of information for students to more experienced practitioners. 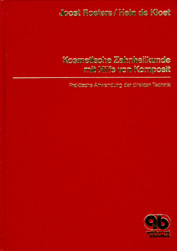 In diesem Werk werden erstmalig Nomenklatur und Definition, Epidemiologie und Ätiopathogenese, Pathomorphologie und Klinik sowie Therapie und Prophylaxe des sogenannten keilförmigen Defekts umfassend, systematisch und synoptisch dargestellt. Angesichts seiner inhaltlichen und formalen Vielfalt ist dieser universelle Leitfaden zum Keildefekt für einen breiten Leserkreis vorgesehen, der Praktiker, Wissenschaftler und Studierende einbezieht. Unschöne Gebisse haben oft einen größeren Einfluß auf das Wohlbefinden und die sozialen Kontakte eines Menschen, als allgemein angenommen wird. 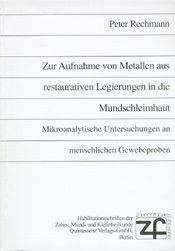 Der Schwerpunkt dieses Buches liegt in der Abhandlung der direkt im Mund angefertigten Kompositrestaurationen. 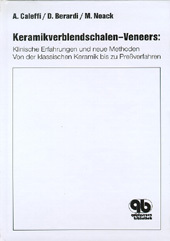 Zur Erzielung eines lebensechten Resultats sind spezifische Kenntnisse und Fähigkeiten des Zahnarztes erforderlich. Dazu vermittelt das vorliegende Buch anhand von zahlreichen Farbfotos, Skizzen und Fallbeispielen viele praktische Hinweise. Heute achten die Patienten mehr als früher auf die ästhetische Wirkung ihrer Zähne. 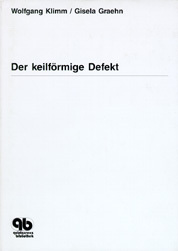 Das Buch gibt eine Anleileitung, die gründlich, Schritt für Schritt, und in leicht verständlicher Weise in die Bleichtechniken bei vitalen und devitalen Zähnen einführt. Jeder Arbeitsschritt wird mit großen und übersichtlichen farbigen Abbildungen illustriert. 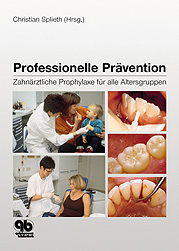 Dieses Buch soll nicht nur ein Leitfaden für den Zahnarzt sein, sondern auch für die anderen Mitglieder des zahnärztlichen Teams und den Patienten. 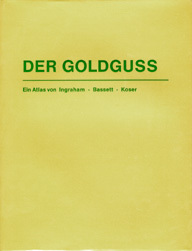 Ingraham, Rex /Bassett, Russel W. /Koser, John R.